Paperback, 6.5 x 9.5 in. / 216 pgs / 150 color. 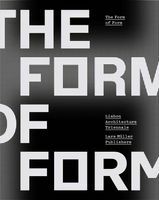 Text by Tom Bergevoet, Maarten van Tuijl. In Europe, the period of great economic and demographic growth is largely over. Unlike in Latin America, Asia or Africa, the boundaries of European cities are no longer expanding, but have essentially come to a halt. The physical growth of European cities has come to an end. Instead of building new spaces outside city lines, now the more urgent task is making what already exists sustainable. The Flexible City addresses this new mandate for those working on the future of the European city: maintaining and restructuring the existing city. 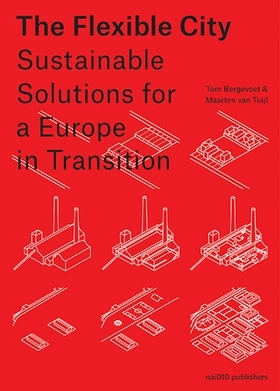 In this volume, authors Tom Bergevoet and Maarten van Tuijl analyze this trend and compare European cities, identifying similarities and describing concrete examples in detail, offering inspiration and practical guidance to the administrators, policymakers, developers, designers, builders and users shaping Europe’s urban future. FORMAT: Pbk, 6.5 x 9.5 in. / 216 pgs / 150 color.